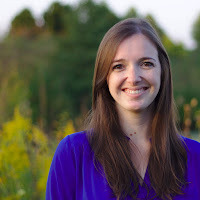 We are so excited to welcome Kristina Mahr to Lands Uncharted today as part of the blog tour celebrating her latest release, A Dream Within a Dream! 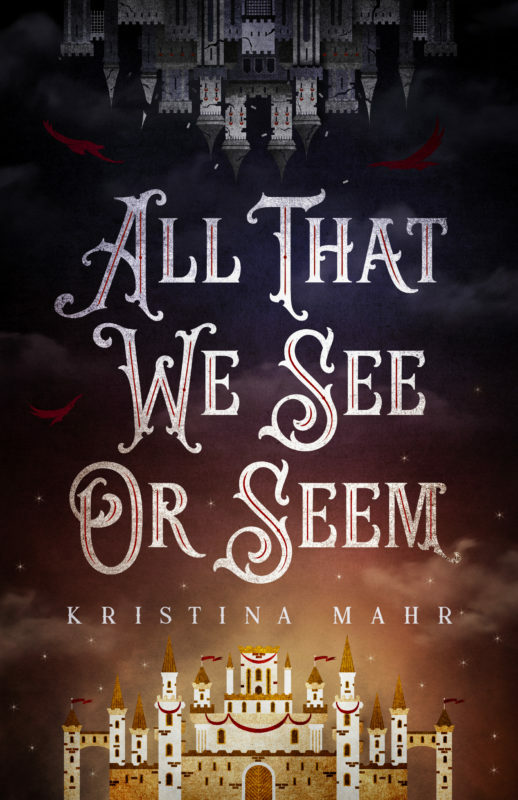 After reading Jill's rave review of Kristina's debut novel, All That We See or Seem, I absolutely had to check it out and immediately fell in love with its fascinating premise and gorgeous prose. 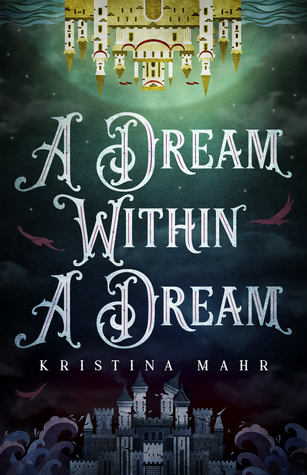 A Dream Within a Dream just came out earlier this week, and I've already spent a few late nights unable to put it down :) I'll share more about these wonderful books below, but first Kristina took the time to answer some questions for us! Enjoy! Well, I am an accountant by day, writer by night, so my brain toggles between numbers and words. I have a small tribe of rescue animals (two dogs and two cats) who are an absolute delight (when they’re not being terrors), as well as a newt I got when I was 8 that is still, two decades later, living his best life. Most of my non-working/non-writing time is spent either with friends, with my nephews, marathoning Netflix shows, or reading. It's a pleasure to "meet" you, Kristina! What prompted you to start writing? Are you one of those authors who knew you were meant to write since childhood, or did it come as a discovery later in life? I am not one of those writers who’s been writing since I could hold a pencil. I’ve always been a voracious reader, but it wasn’t until after high school that I really started dabbling in writing. I had stories building in my head, and I needed to get them out. And then it wasn’t until my sister had the dream that sparked All That We See or Seem that I actually took it seriously and really devoted myself to writing. I'm so glad your sister provided that inspiration! Which authors have had the most significant impact on your writing? Maggie Stiefvater and Tahereh Mafi are my biggest stylistic influences. They write so beautifully, almost poetically, which made me feel as though I had license to play more in my writing, too, rather than sticking to standard prose rules. I'm sad to say I haven't read anything by either of them, but it sounds like they need to move up on my TBR list! We’re all about exploring new worlds here at Lands Uncharted—if you could choose one place to visit, real or fictional, where would you go? Both excellent choices! Please share one of your favorite writing tips with us. The best advice I ever got was to treat writing like a part-time job. Schedule writing sessions, and consider that untouchable time, not free time. I used to feel guilty saying no to other people when my “only” plan for the evening was writing, but now I take it seriously, as a commitment to myself and my passion. It's so important to set aside writing time! Do you have any go-to foods or beverages while writing? Iced tea. All of the iced tea. Well, not all of it. Specifically, my go-tos are McDonald’s Sweet Tea (with no ice), Diet Raspberry Snapple, and Peach Crystal Light. Yum! Congratulations on your new release, A Dream Within a Dream! What inspired you to write the Dreamworld Duology? Thank you so much! It all started in February 2014 when my sister (who dreams excessively vivid dreams) told me about a dream she had the night before about a girl who falls in love with a boy she meets in her dreams. That is the heart of the Dreamworld Duology. From the time she told me about it, I couldn’t stop asking myself questions, about who this girl was, who the boy was, why she went there in her dreams, what this dreamworld was like in comparison to her real life, how she and this boy could ever be together. Slowly, all of the pieces came together, and I knew I had to write it. Ooh, I love that. Did any of the events in these books surprise you as you were writing? Yes, absolutely. I had an outline for A Dream Within a Dream that I thought was a pretty solid outline, but within three chapters, I could feel the characters pulling me in a different direction. And I don’t want to give anything away, but there was one character who was kind of a loose end as I rounded into the climax of the book, and I wasn’t sure what was going on with this character, but they ended up being an integral part of the way things went down. Gah, now I'm even more eager to finish it! Can you give us any insights into your next project? I am currently drafting a contemporary YA novel, which is my first foray away from fantasy! It’s been fun to play in the real world and to really focus on the characters and their development, which is my favorite part of writing, and less on bigger picture, world-based arcs. This particular story dives into fate vs choice, which is one of my personal favorite concepts to explore. I'll definitely be on the lookout for your writing updates! Now, no visit to Lands Uncharted is complete without Top 3s! Give us a Top 3 list, in the category of your choice. 2. Nobody ever thinks it could happen to them, because the universe couldn’t possibly be so cruel, and then it does, and then it is. 1. And I wonder, then, if we should all be starved for the wonders of the world every now and then, so we can look at them through fresh eyes and know well enough to weep for how beautiful it all really is. By day she is a lady of Acarsaid's royal house, daydreaming of adventure and love. But every night in sleep she wanders through a nightmarish city, an invisible witness to the screeches of monsters and the screams of their victims. Her only consolation is Bran, a battle-torn young man with a selfless heart and eyes that reflect the stars. Torn between two lives, Reeve struggles to remember what's real. Until night and day collide, with a revelation that threatens all of Acarsaid. These books are so good, you guys!! Intriguing characters, swoon-worthy romance, danger, excitement...you just need to read them! You can purchase the Dreamworld Duology on Amazon, Barnes & Noble, and Uncommon Universes Press. And you can connect with Kristina on her website, Twitter, and Instagram. Thank you so much for joining us today, Kristina, and congratulations again on your new release! Congrats on the new book, Kristina! They both sound great. And I'm glad that I'm not the only writer who didn't grow up wanting to be a writer! Can't wait for book 2! Great post!